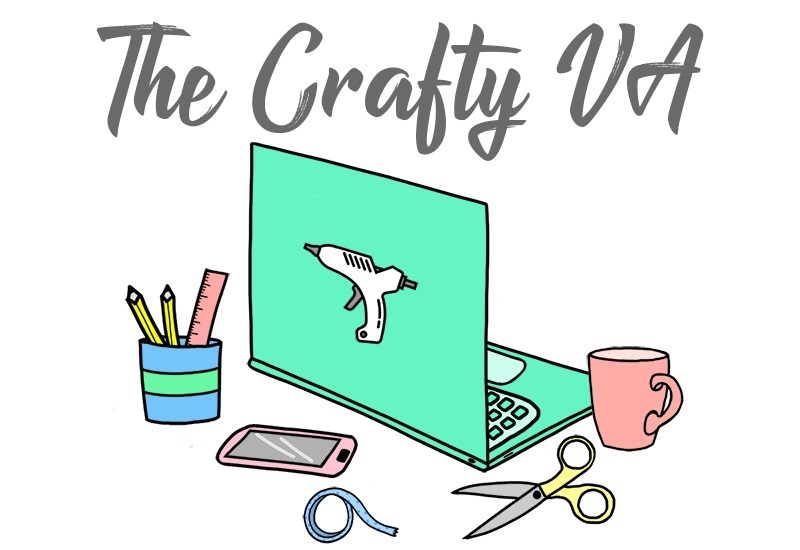 If you have been following my blog for a while, then you know that 1) I have been in college for the longest time, 2) I work as a content writer for other websites, and 3) I love the idea of setting goals. Due to all of that, I always have a planner on hand to help me keep track of everything I need to do. Well, back in March I was approached by Ink + Volt to review one of their planners. Needless to say, I jumped at the chance to review one of their planners because they are really, really, awesome! So today, I'm going to be sharing with you my thoughts on the planner that I received from Ink + Volt. For starters, Ink + Volt is a company that was created by Kate Matsudaira in order to help people be more successful in their work and life. At the heart of Ink + Volt are their notebooks and planners. There notebooks and planners are designed to not only keep you organized (in the traditional sense), but they help you to stay motivated about reaching your own personal goals. The planner I was given for this review was The Volt Planner. Specifically, The Volt Planner is a product that combines form and function. This can be seen in the layout of the planner which includes yearly, monthly, and weekly pages. In addition, the planner has journal prompts, 30-day challenges for each month, a weekly outlook, two-page markers, and a yearly goal/achievement tracker. When I first got the planner in March I was amazed by the level of detail. This is because the planner really sets you up to be successful since everything is laid out in such a clear and consisted manner. For example, at the beginning of the month you can list your goals, list how you want to achieve those goals, and then keep track of those goals (throughout the month) while writing your weekly goals/to-do list. When it came to using the planner, I wanted to have the planner for a good 2 months so I could truly see how it worked for me. In those 2 months, I really enjoyed using the planner because it helped me to keep all my schoolwork, blogging, and other activities in one place. This is partly because there is so much room in the planner to write stuff down. In addition, since I am (officially) graduating from college in May, this planner has helped me to stay on track with activities like updating my resume, updating my LinkedIn account, and so forth. 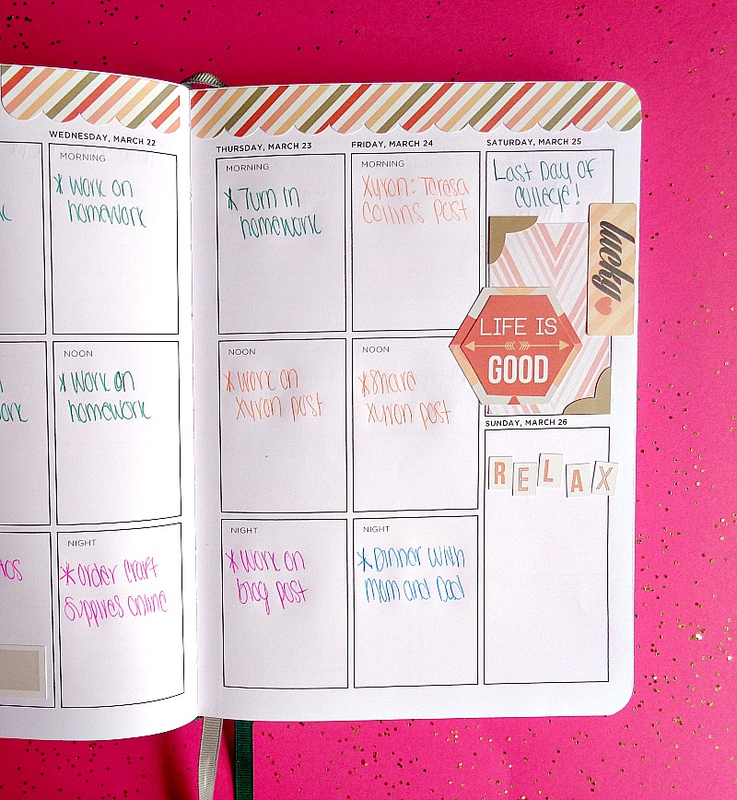 From a blogging perspective, I wish I would have found this planner sooner! If you are a blogger this planner definitely helps when it comes to thinking ahead and staying ahead. 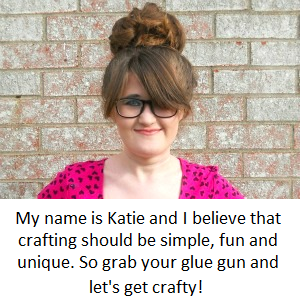 For example, most of us DIY bloggers are thinking about holiday projects either one to two months ahead of schedule (like Mother's Day projects in April). Having a planner like The Volt Planner helps you to really stay ahead and visually see where you are at. The only thing I wish this planner came with was a magical pen that made my handwriting look better (lol). I tried to take a picture of the best page since my handwriting is not stellar. However, as you will see above, I color code items and events. This is definitely my biggest tip when it comes to planners because it helps you to visually see what is happening that week and it adds that extra layer of ''don't forget to do this''. I also have a tendency to decorate my planner pages, but I don't go too crazy. Finally, I want to say that I did decorate the cover of my planner. The Volt Planners come in the color black and there is no design on the front cover. What I did for my planner was simply cut out a piece of Teresa Collins scrapbooking paper and taped it on the cover using some gold washi tape. Overall, I thought this planner was fantastic! 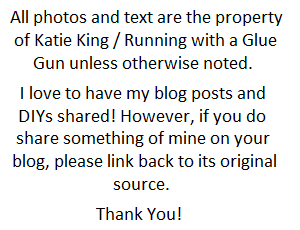 To me, it would be great for bloggers and for those students who are just graduating from college. 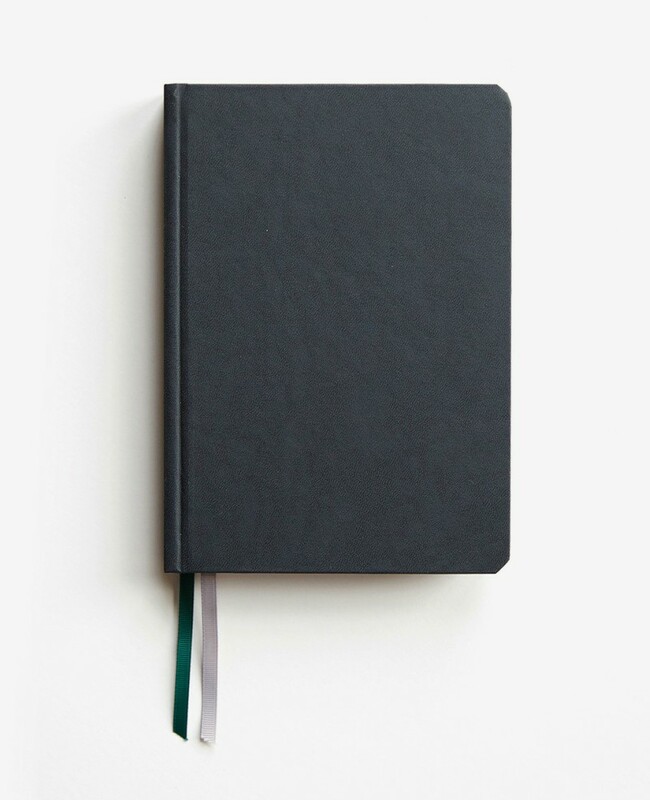 The planner, I have been talking about in this review cost $40.00 on Ink + Volt. 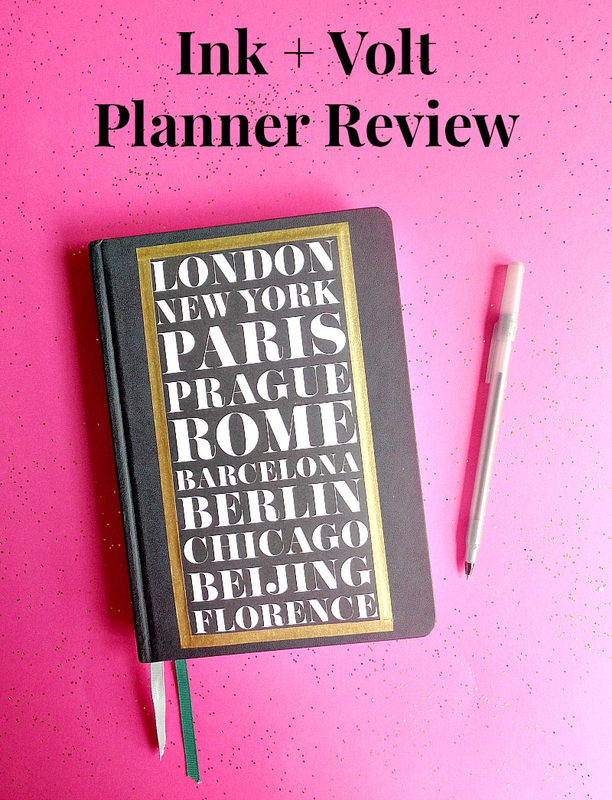 Now, even though this could be considered a high price for a planner, I think it's well worth the money because of all the features that come with the planner. If you are loving this planner, but want to test out the pages, Ink + Volt has you covered! They created printable pages from their 2016 planner so you could print them out and see how they work for you. To get your printable pages click here and scroll down to the section titled ''The Story''. So have you ever bought an Ink + Volt planner? If not, what would be your tip for keeping your planner organized?